Free Practice: In the first free practice it was raining very hard. Under those difficult conditions Tunjo crashed the car. Malja finished P16 and Schothorst P6. In the second free practice it was updrying track conditions. Many red flag sequences caused an early finish of the session. 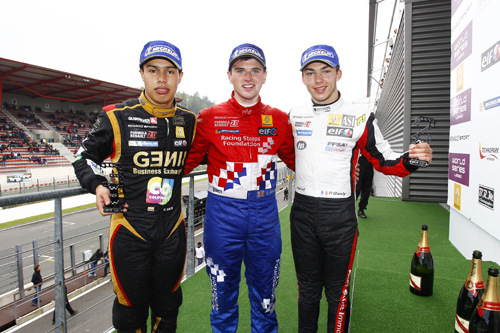 It was Schothorst P8, Tunjo P12 and Malja P14. Qualifying 1: All Kaufmann Drivers were in Group A. After Qualfying was delayed for 2 hours it was updrying track again. Schothorst had to stop the Qualifying after 3 laps due to a technical failure. Malja had difficulties adapting to the circumstance ending up on P12. Tunjo was totally dominating the Qualifying and finished P1. 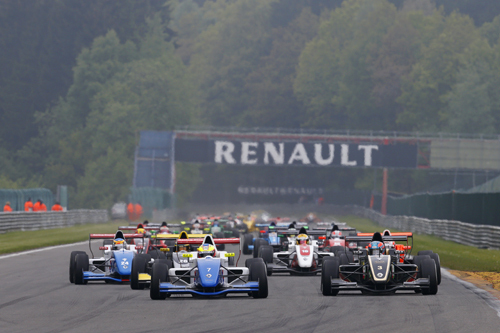 Starting Grid: Tunjo P2, Malja P24, Schothorst P37. Race 1: Under dry conditions Malja had a good Start moving up to P17 directly. After contact and little damage on the car he finally finished P19. Schothorst had to retire from the race early. Tunjo was having a great fight for the lead. 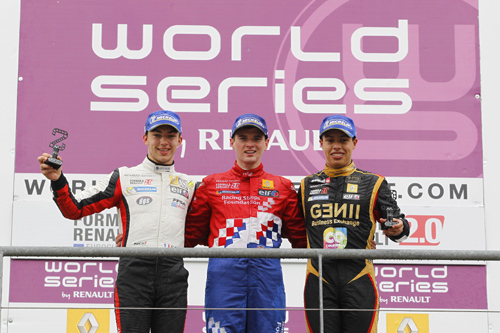 After a few overtaking moves he finally finished on P3 taking his first podium in Eurocup this season. 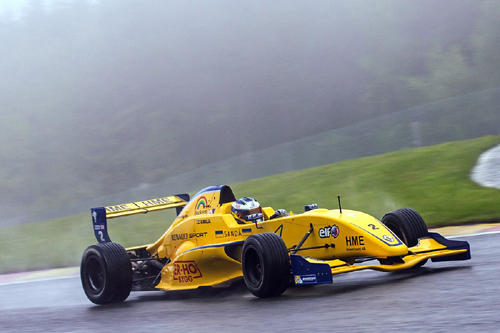 Qualifying 2: On dry conditions Malja was on a pretty disappointing P13, Schothorst P8 and Tunjo on a good P3. Strating Grid: Tunjo P5, Schothorst P15 and Malja P25. Race 2: In very difficult opening laps of the race with red flags, Schothorst and Malja had to retire from the race early. Tunjo was directly moving up to P3. After the Safety Car restart he was pushed off the track by another competitior and dropped back to P7. In the end Tunjo moved up to P6 and was awarded with points for P5.